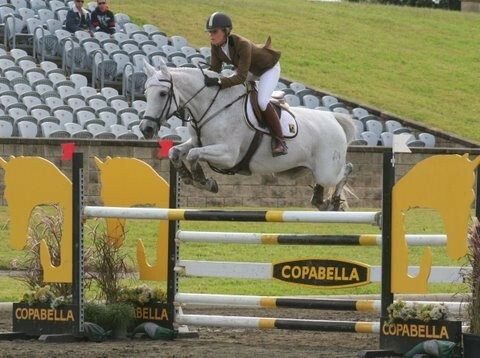 We imported Courchevel in 2005, after Julia spent a season in Europe with Vicki Roycroft on the lookout for a competition mare to bring home. 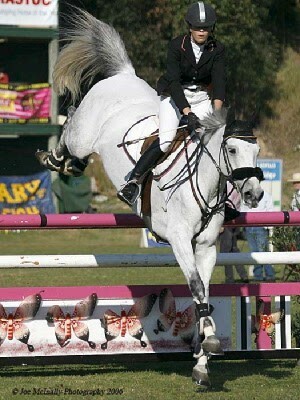 By Cascavelle, Courchevel is Holsteiner on the sire side and Trakhener on the dam side. 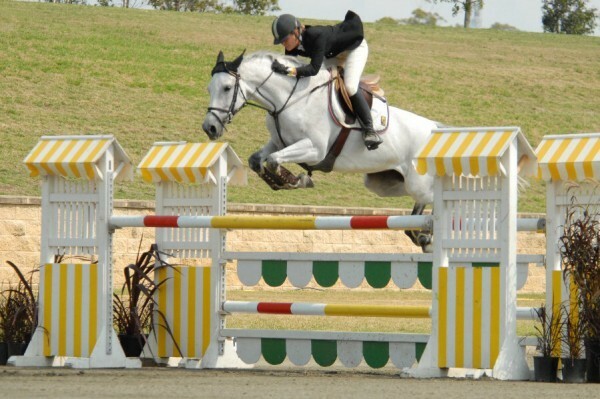 Julia was Young Rider Champion with Corey at ISS-Tempo in late 2006, won and placed in every Young Rider class at Sydney Royal in 2007, and was Young Rider Champion at Elysian in 2007. 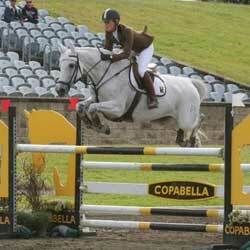 This turned out to be Julia's last Young Rider outing due to EI. 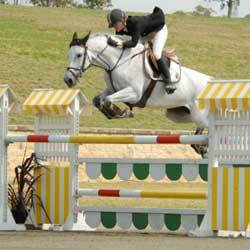 But the pair had chalked up enough wins by then for Julia to be named both NSW and National Young Showjumping Rider for 2007. Corey's first embryo-transfer baby was born in 2007, Vermont, a stunning Visage filly who is now competing successfully with Brooke after having a Cadiz foal herself. Vermont has a full sister Victoria, born 2009, and a full brother Vigor, born 2013. Corey has now moved to Dubbo to be campaigned by Jenelle Waters. 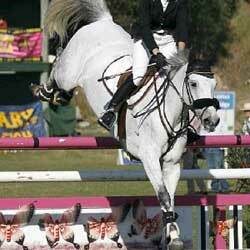 She joins Julia's other old Young Rider horse Rivoli Panther on Nellie's team.